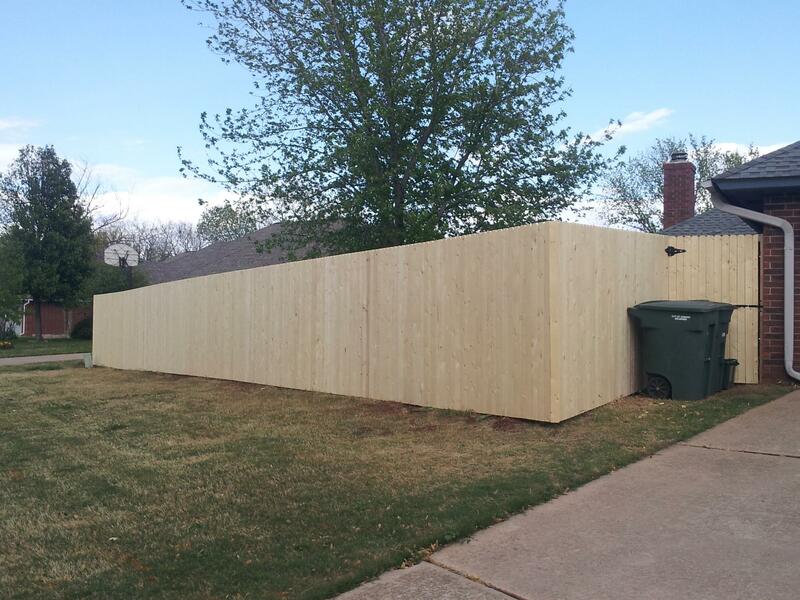 If you are looking for a fence builder in Oklahoma City then look no further!!! White wood is usually composed of spruce or pine wood. It has a light piney smell and has a crisp/clean appearance. 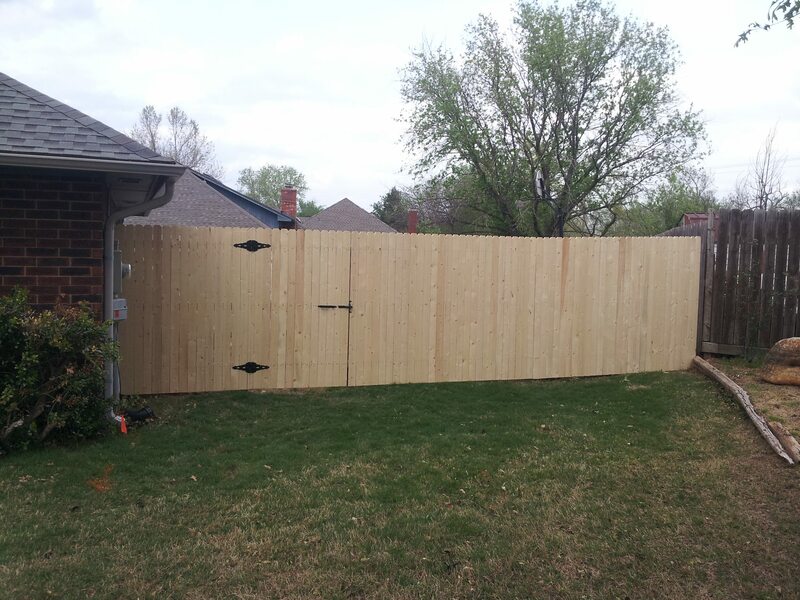 White wood fencing can be purchased pressure- treated with a water sealant already in the wood or untreated(recommended) ready for stain or paint. When it comes to choosing between treated and untreated we recommend untreated. 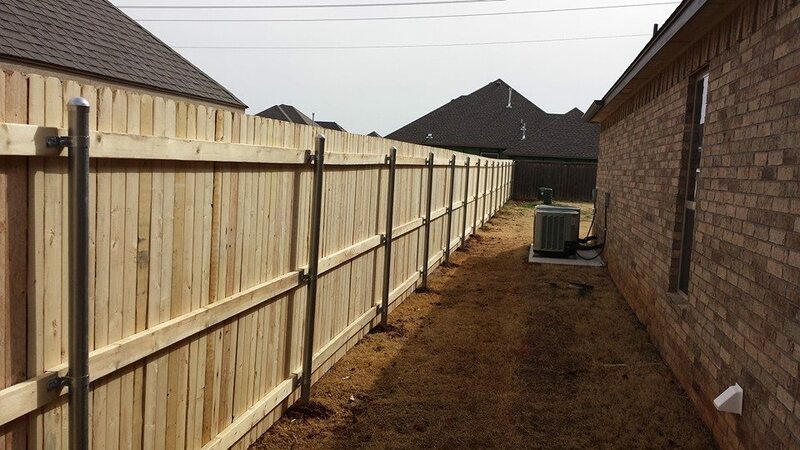 The reason to pick untreated fencing is because treated fencing comes from the manufaturer soaked to the core with a water sealant, which is great because it is sealed, but it also causes the wood to be expanded from the treatment that it was soaked in. 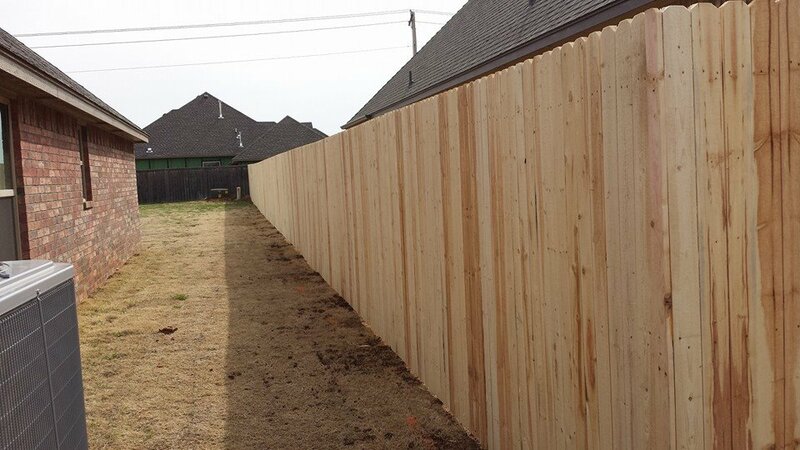 When this treated and expanded fencing dries it contracts and twisting or warping can occur. To avoid this senario we recommend that you purchase untreated fencing and then waterproof it or stain it the clolor of your choice. Also you should of course go with metal poles over wooden for the same reason(wood poles twist when drying) and because metal is of course more durable than wood. This will ensure that your fence stays nice and straight for it's entire life.